Former President Asif Ali Zardari. 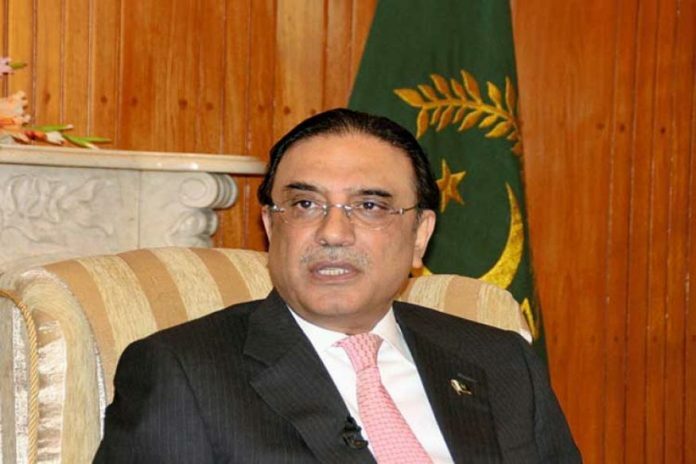 The audio clip of Latif Khousa, counsel for former President Asif Ali Zardari, was leaked in which he said, Zardari might get arrested on Dec.31st, as the Joint Investigation Report has exposed everything and asked for filing 16 references against him. When asked about the leaking of the audio clip, he didn’t say anything, however, he said, there were rumors about his arrest on Dec.24th. The way Dec.24th passed, Dec.31st will also go, he added. Latif Khousa said, the PPP’s leadership has all the legal options, and they will avail them.